Squaw Valley native and Olympic gold medalist Julia Mancuso attacks the course during the 2014 U.S. Nationals GS. 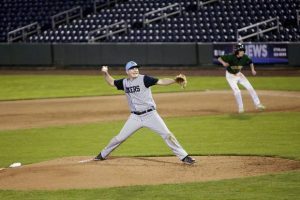 This article is adapted from the winter 2016-17 edition of Tahoe Magazine, a joint publication of the Sierra Sun, North Lake Tahoe Bonanza, Tahoe Daily Tribune and Lake Tahoe Action. 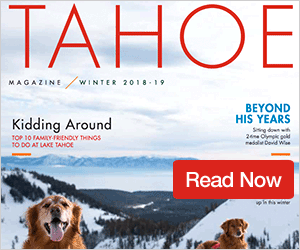 The magazine, which features loads of features and advertisements about all that the Tahoe winter has to offer, is on newsstands now across Lake Tahoe, Truckee and Reno. Go to bit.ly/2ig2Qys to read it online, and be sure to pick up a copy today! And, more online: For more information and all things World Cup at Squaw Valley, visit squawalpine.com/worldcup. OLYMPIC VALLEY, Calif. — Helmet? Check. Goggles? Check. Skis and poles? Check, check. Alpine skiing is defined by athletes with remarkable technical skills that allow them to break speeds of 80 miles per hour while executing sharp turns in narrow courses. Next weekend, Tahoe-Truckee fans of the sport can rejoice — for the first time in nearly 50 years, a women’s FIS World Cup will call Squaw Valley home. The region is rich with ski racing history; Squaw Valley hosted women’s slalom and giant slalom (GS) events at the 1969 World Cup, after hosting the Winter Olympics nine years earlier. Featuring slalom and GS races once again, the events held on March 10-11 (as well as additional events on March 9 and 12), mark the return of a sport iconic to the mountain community of Lake Tahoe. “Growing up at Squaw Valley, I have been hoping for the return of the World Cup for a long time, and now we have the chance to show the world that our Olympic legacy is very much alive,” said Julia Mancuso, Squaw Valley native and Olympic gold medalist. 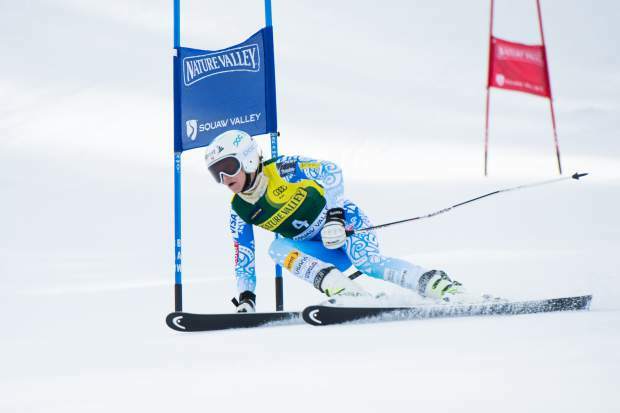 Races will take place on the famed Red Dog course, which previously hosted the 2014 Nature Valley U.S. Alpine Championships, along with being the face of the 1969 World Cup and 1960 Winter Olympics. Beginning at 7,520 feet atop Snow King Peak, the GS course descends 1,267 feet before finishing at Squaw Valley’s base area. The slalom course starts at Lower Dog Leg, dropping 656 feet during the course of the same run. With challenging steeps and fall-away pitches on the course’s “Dog Leg” section, these are races you won’t want to miss. With the oncoming approach of such a pertinent event to the lake’s standing in the world of alpine skiing, this is an event you won’t want to miss. Feeling unprepared? Don’t worry. With the help of Liz Lauer from Cinch PR and Squaw Valley public relations director Liesl Kenney, we’ve compiled a quick list of things you should know before attending this once-in-a-lifetime experience. • Approximately 50 female athletes will come out to compete in world class skiing in next weekend. Be ready to see some of the world’s best skiers compete on top terrain. 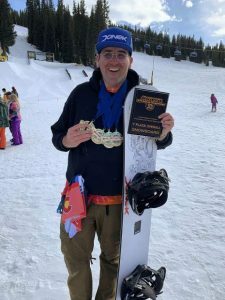 • Pre- and après-ski events such as an opening and welcome party, concerts, fireworks, auctions and more keep you entertained in the down time between races. • Crowds — thousands of people are expected to attend the March festivities. Ski racing enthusiasts and aspiring young skiers alike will come out to the weekend-long spectacle. • Layers! “March in Squaw Valley can bring warm, sunny bluebird days or feet of snow, so keep an eye on the forecast and prepare accordingly,” Kenney said. • Winter boots — tennis shoes won’t give you traction here, and your toes will appreciate the favor. • More cowbell — it’s a tradition in competitive skiing to cheer athletes on with cowbells instead of shouting and clapping. Come prepared! • While Club and Grandstand tickets are sold out, special VIP packages are still available. Check out squawalpine.com/worldcup for more information. Limited free standing room viewing will also be available near finish arena, according to Squaw Valley. • GS races are held Friday, March 10, and slalom races on Saturday, March 11. Events begin at 10 a.m. on both days, with second runs conducted at 1 p.m. and awards ceremonies following at 1:30 p.m. 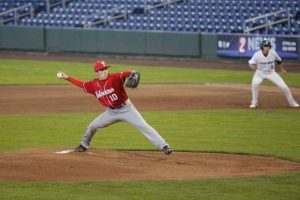 Secure lodging early — the sooner, the better! You don’t want this to be the reason you can’t experience the fun. • Don’t miss any of the action — be sure to follow earlier stages of the World Cup and find your favorite skiers on all social media platforms. Learn as much as possible to be kept up-to-date on all the goings-on. Autumn Whitney is editor of Lake Tahoe Action, a sister newspaper of the Sierra Sun’s based out of South Lake Tahoe.